This is the second in a series of blog posts discussing major figures in film and literature, based on the Major Arcana of the Tarot. 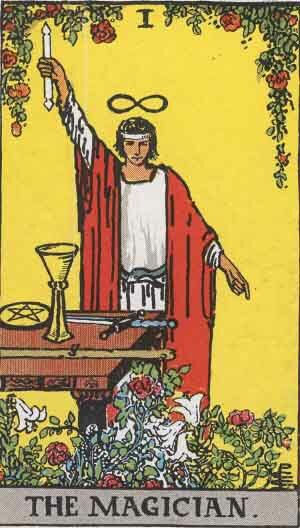 I'll be using the 21 Major Arcana of the standard Rider-Waite-Smith Tarot deck. For some more background on the deck's history and its elusive role in popular culture, see this post from HiLowBrow, which is a good primer on the Tarot, and pretty fascinating in its own right. "Magician" is a beautifully ambivalent term, weaving together two contradictory and correlated roles. 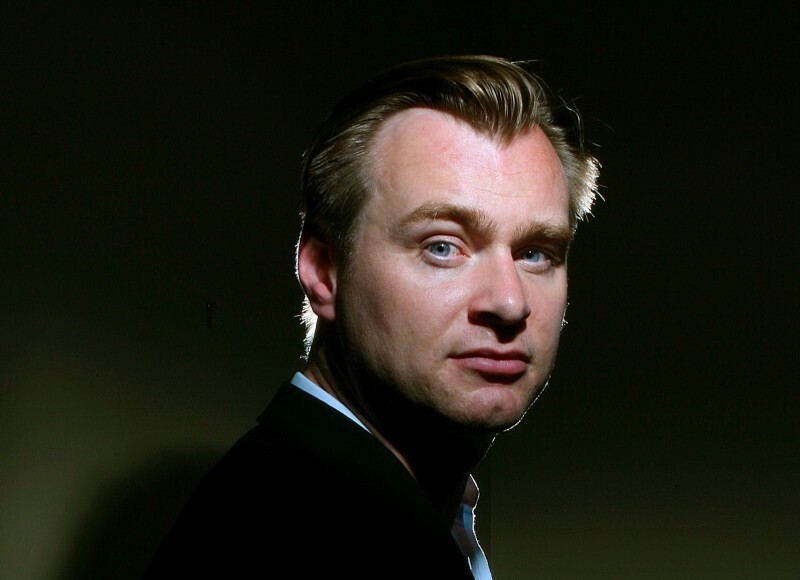 Like the greatest of those craftsman, Christopher Nolan straddles the line between them: to his fans, and to the general public at his most captivating moments, he is the conjurer, tapping into the supernatural netherworld of the auteur creative genius. To his critics, and even to his fans at certain junctures, he becomes the stage magician playing parlor tricks, manipulating the audience with distraction and sleight of hand. The Magician of the Tarot embodies both of these aspects: in the older 15th to 18 century decks descended from the Renaissance, he was the performer, weaving a spectacle for incredulous onlookers. When the Tarot was adapted by occultists into a tool strictly for divination, he was recast as a true mystic, drawing on the obscure power of arcane symbols to exert supernatural influence. David Bordwell does the best job of describing the method behind Christopher Nolan's madness. In his essay Nolan versus Nolan, he breaks down Nolan's tendencies as a filmmaker, including his frenetic editing, his intentionally ambiguous treatment of topical themes, and his thematic concerns with subjectivity. Bordwell concludes that it is in the structural layer that Nolan is most innovative: particularly, in his use of cross-cutting to fracture: chronologies (Memento), intersubjective personal histories (The Prestige), and nested pockets of experience (Inception). Bordwell ends his essay by suggesting that Nolan's experimentation is too simplistic and palatable ("midcult"), but then thoughtfully recanting the accusation. What Bordwell may have missed is how Nolan makes magic out of these methods, even when they constitute cheap tricks. The frenetic editing in Insomnia, the weighty exposition in Inception, the hand-waving at political vagaries in the Dark Knight films... these are not stylistic lapses. They are techniques of misdirection, like the stage patter that frames and cushions a great magician's illusion: they may be clumsy, overdone, and even sloppy (as Jim Emerson harps on), but the point is to distract his audience from those jarring formal machinations -- the reversed subjectivity, the baroque architecture of the subconscious -- until they can be fully revealed in all their glory. This is Nolan, giving his audience a rare chance see the impossible, to absorb the formally unfamiliar, and to intuit its otherworldly power. So Nolan may seem to the jaded like a cheap trickster, but his real trick is in getting so many people to embrace his elaborate conceptual choreographies. That's more than a con game... it's the work of a man with great ambition, and the will to channel it into an impossible result. It's almost too good that one of Nolan's best, most ambitious films is a gothic drama of competition between two magicians. The Prestige is a little microcosm of Christopher Nolan's soul, putting all his tensions on display: the formal ambition, the manipulative editing and showman's trickery, the fraught relationship between mere illusion and the supernatural. As Cutter says in The Prestige: "You're a magician, not a wizard." As Christopher Nolan and Rider-Waite-Smith both know, the line between those two is as firm as a wisp of smoke.